Say hello to The Gobbler. Forget about the Christmas sandwich. This year it’s all about the Christmas burger. Case in point: Twisted London are adding a little cranberry sauce to your humdrum office lunch with their new festive offering. Introducing the burger you wish you could be eating on Christmas Day: The Gobbler. And would you just look at it. 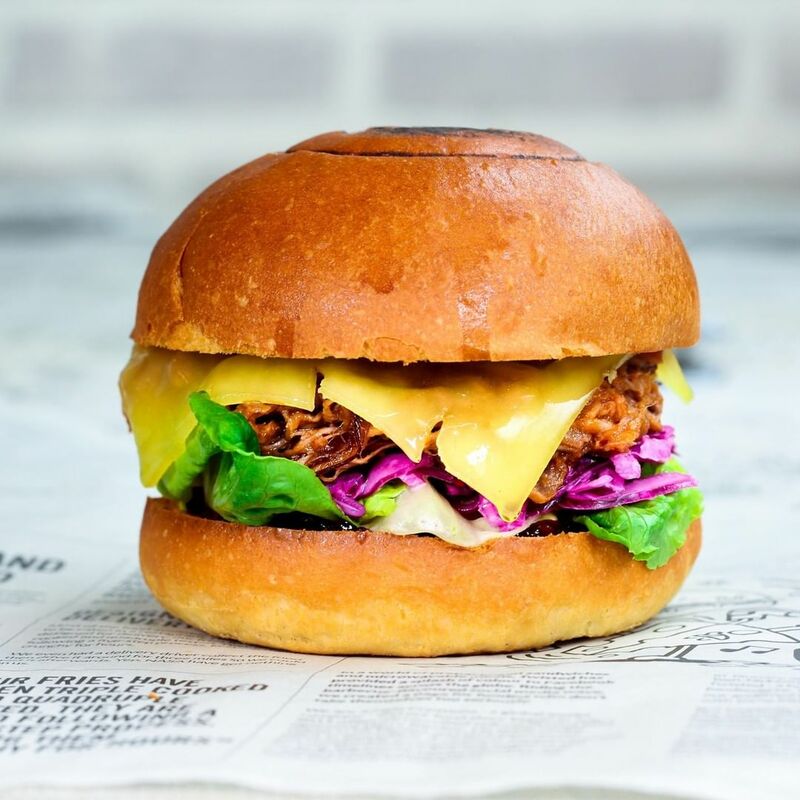 Featuring succulent pulled turkey sitting between two innocent-looking brioche buns, with cheese, BBQ sauce, garlic butter and - of course - cranberry sauce to finish, Twisted London’s take on Christmas is as downright delicious as it gets. And the best bit? The Gobbler is available to order exclusively from City Pantry right now. That’s right. For those days you just can’t tear yourself away from your desk, you can bring some festive flavour into your office for just £8. So what are you waiting for? It’s easy to order and even easier to eat. Just start here. We bring London and Manchester's best restaurants into your office. No fuss. No hassle. And all for the same price as going direct. Unwrap a little piece of Mexico by getting Changos delivered to your office with City Pantry. Say Aloha to the Manchester's best poké bowls and get them all delivered to your office with City Pantry. Discover the best lunches in Soho and get them delivered to your office with City Pantry. Cupcakes, brownies, cheesecake, cookies and more, meet the women shaking up London's bakery scene in our "Meet the Vendor" series, brought to you by the City Pantry team. Discover the best lunches from the Abokado menu. Order your favourite to your office with City Pantry.